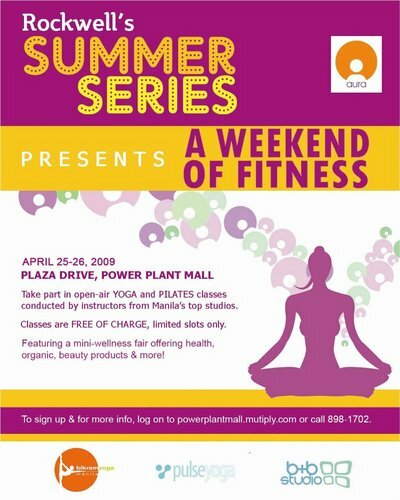 Featuring classes from Manila’s top yoga schools, Bikram Yoga, Pulse Yoga & B+B Studio Philippines (Pilates)! This weekend will also feature a mini-wellness fair offering health, organic, yoga, beauty products and more! Sign up now for this one-of-a-kind summer event on APRIL 25-26 at the PLAZA DRIVE of Power Plant Mall and RECEIVE A HAVAIANAS PAIR of flipflops! For more info, call 8981702 and look for Lisa. Head over to powerplantmall.multiply.com for more details. Hi! I have a fabulous beauty giveaway in my brand new blog! It’s a Shu Uemura Limited Edition makeup brush set! Check it out!